Pests can infest any area including trains, airports and mass transit modes. If you are in the transport industry, you know how damaging pests can be not only to your property, but also to your image and reputation as a service provider. People want to travel in the most hygienic spaces but pests can come in the way of these. Besides being very unsightly and scary to your customers, they could actually end up posing dangers such as bites or poisonous stings. To keep your image and reputation as well as hygiene levels high, you will need to find a way to get rid of the pests fast, safely and effectively. This is exactly what Toro Pest Management will do for you. Toro Pest Management is the best you can find. We have years of experience in pest management hence you can be sure we know what we need to do and how to do it regardless of the pest in question. 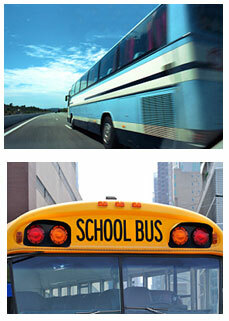 Our mass transit, airports and train pest control services currently cover hundreds of transportation units. If you require professional pest management, we are your ultimate solution. We use integrated pest management which focuses on giving you a pest free environment in the long term. Pest Control in buses We develop comprehensive approaches to eliminate the current infestations first before putting in place measures to prevent recurrence of the pest menace. This we achieve by detailed inspections, implementation or monitoring programs and reporting of conducive conditions as well as potential health risks from the infestations for better solutions. You will get detailed reports on the situation and our professional recommendations. Depending on the pest situation, we can tailor solutions that are specific to your needs for better results every time. Toro is made up of a trained and certified team; hence you can rely on effective solutions for your transportation units. We are sensitive to the environment and use eradication methods and products that are safe and friendly to the environment. With our services, you don’t even have to close your business temporarily to get the treatment done. We work round the clock and will offer the best at a time that is most convenient for you. We choose green organic products for our pest control and we respond in a timely manner to ensure you get rapid solutions for the sake of your business. We will deal with the pest problem as soon as it occurs. Toro pest management also offers a guarantee on services offered. Our guarantee is that if the bugs come back, we will also come back and redo our services at no extra charge until we have successfully eliminated the pests. We have the right tool, the right pest control methods and know just the right products to use to achieve positive results for your transportation unit. We are indeed the best you can find for all your pest control needs!